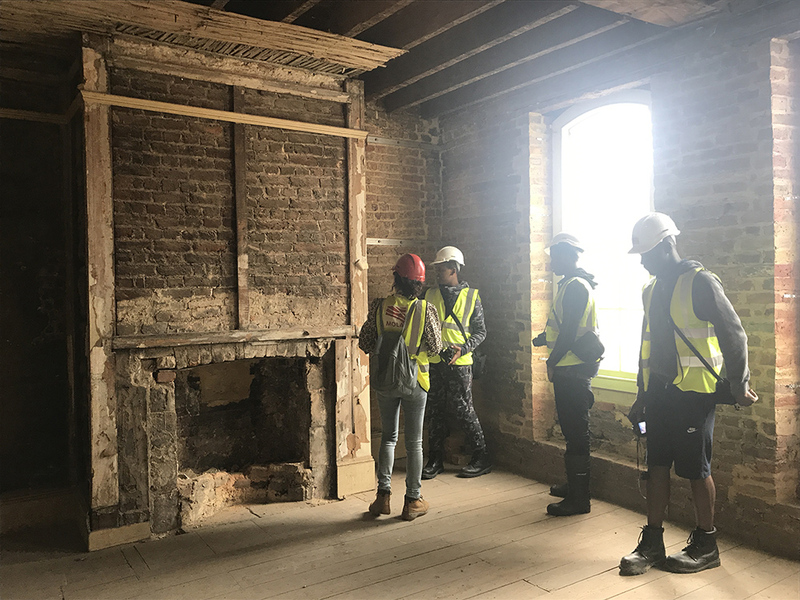 The delivery of MOLA’s Built Heritage Youth Engagement Programme is currently in full swing. 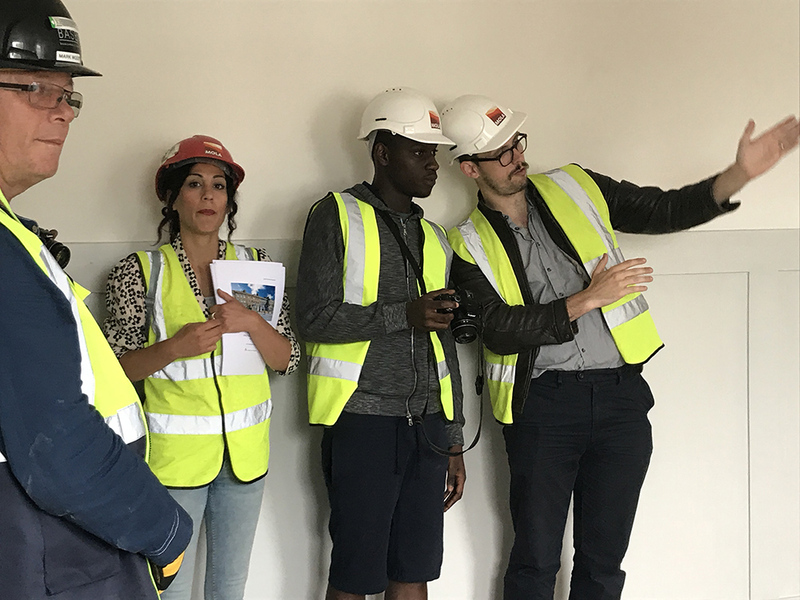 At the end of July we completed the first leg of the programme with our participants from Haringey, having completed a full-on two weeks of learning about the built heritage of Tottenham. Here we speak to Sahr, 20, about his experience. Did you know much about archaeology before you started the course? I didn't know much about archaeology before the course. I've never studied the subject before so I thought that archaeology was all about finding remains. Throughout the course you have been studying historic buildings – before you started did you imagine that archaeology covers things like buildings as well as things we discover underground? I had no clue archaeology related to buildings at all. I have learned that archaeology is used not just for past discoveries, but also to provide protection of heritage assets for the future. 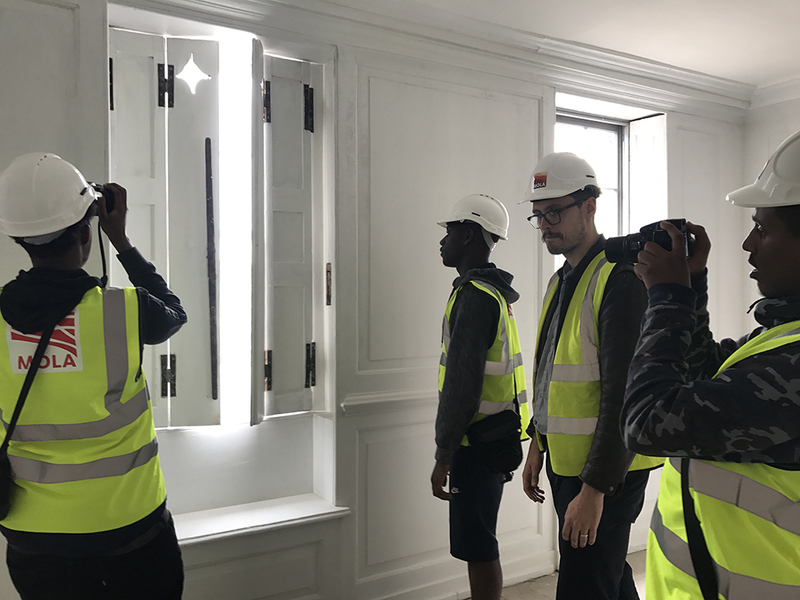 Has this experience changed the way you see buildings in your local area? Yeah. It's nice to know the area has so much history and that the history stretches so far back. Throughout the course you visited some places that are not normally open to the public – which was your favourite? We visited Percy House and 810 High Road in Tottenham and Sutton House in Hackney. Sutton House was great to visit as it's the oldest brick house in East London. To learn the house had been squatted in during the 80s and is now preserved by the National Trust shows the importance of the house to the heritage of the local community. Tell us about your favourite day on the programme. I really enjoyed the tour of the London Archaeological Archive and being taught about what some of the objects were once used for. While there, we saw an original Buckingham Palace switchboard, which made this my favourite day of the programme. Can you tell us a bit about the Arts Award and what you did to achieve it? Throughout the course, we were working toward a Bronze Arts Award focussed around Built Heritage. 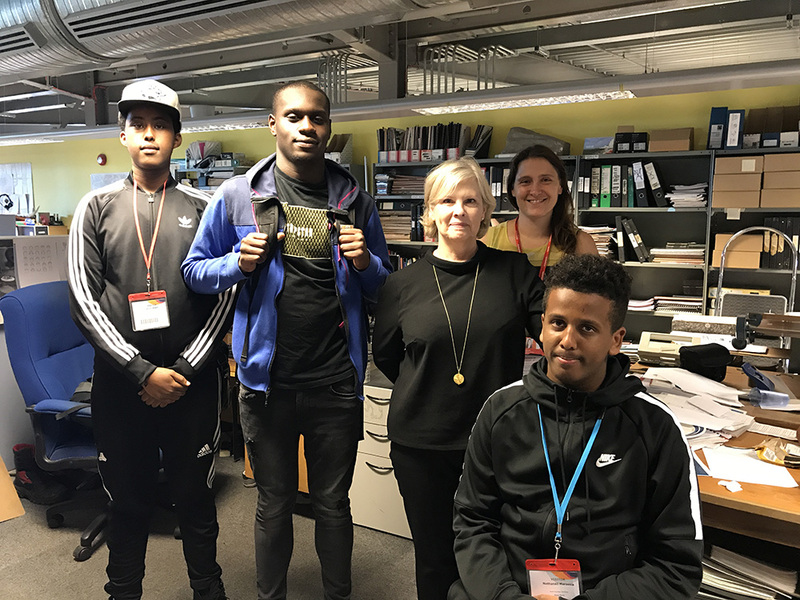 The group had to complete the Arts Award booklet and produce a final piece of work that was presented to the public on the Time Truck. 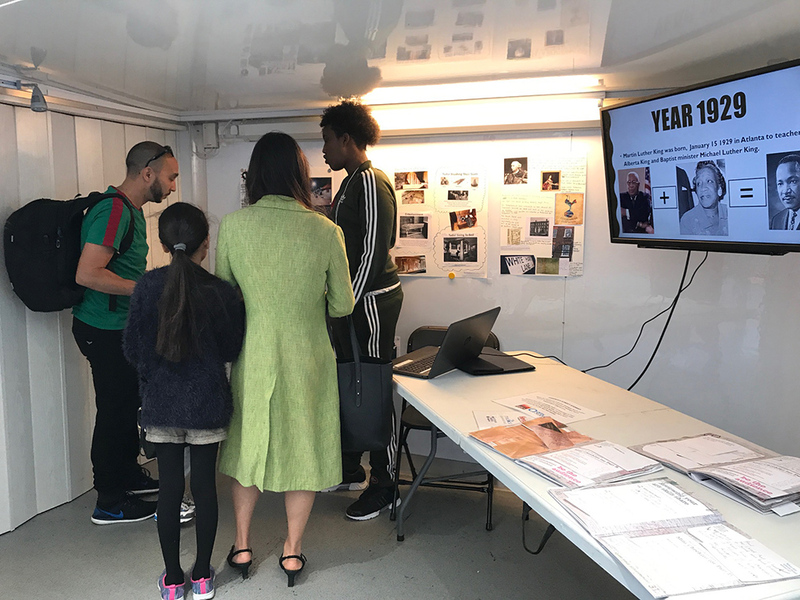 Did you enjoy displaying your work on the MOLA Time Truck? 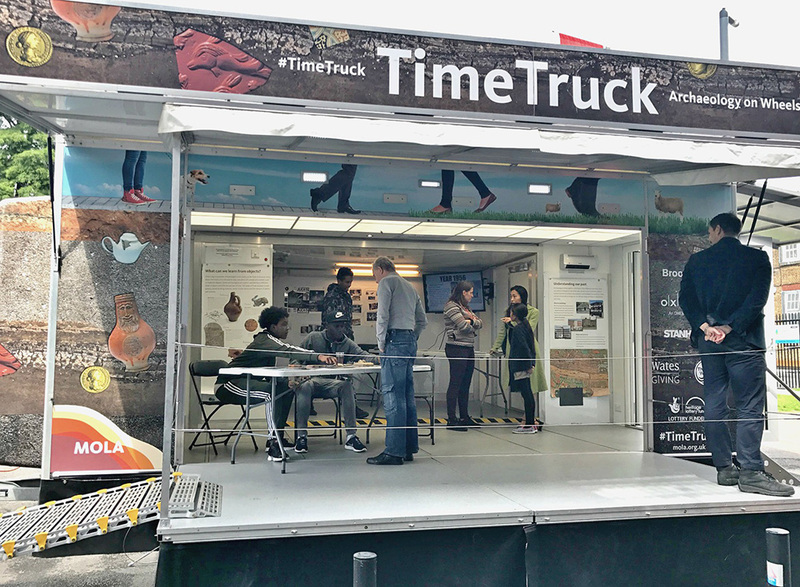 The Time Truck is a great idea; it made archaeology accessible for the diverse public in Tottenham. I enjoyed answering questions from the public and explaining to others what I had been doing with MOLA during the programme.